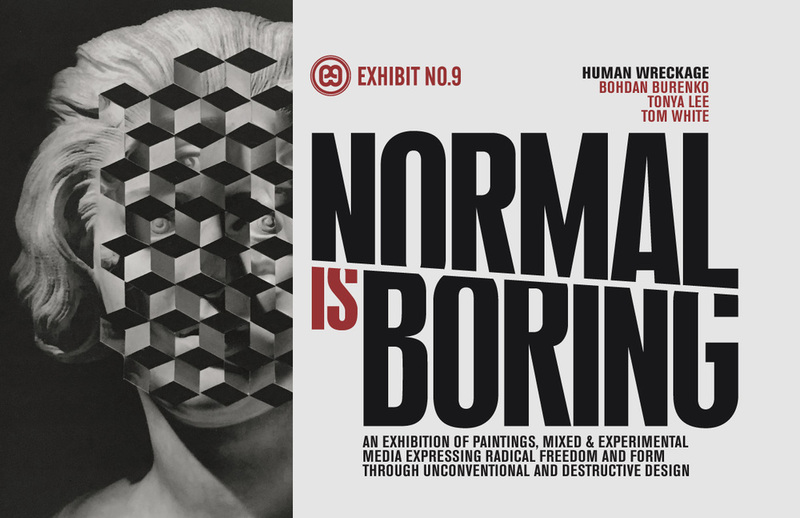 A group exhibition of paintings, mixed and experimental media expressing radical freedom and form through unconventional and destructive design. 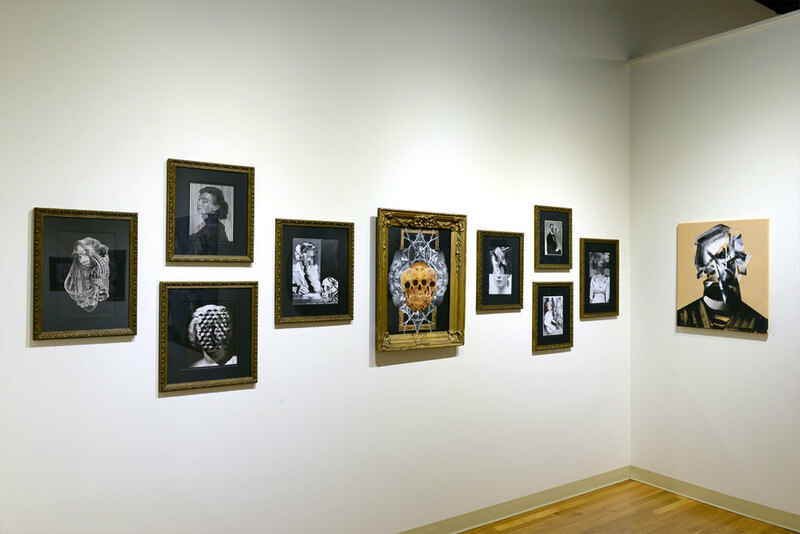 By assembling images culled from varied historical frames ranging from mid-century pop to antiquity, the artist’s work evokes an ethereal timelessness. The artist’s unwavering adherence to the handcut collage format is essential. The intrinsic history of each element is as crucial to the narrative as the subject itself. Each cut into the paper releases the ghosts of history. Human Wreckage received a BFA from Parsons School of Design with a major in Illustration. Bohdan is fast emerging on the Eastern Europe art scene. His style is raw and visceral. Using portraiture, he explores the ugliness and destructive nature of humanity. Various labels can be used to describe his work; existential neo expressionism, neo cubism or existential geometry. He draws inspiration from the media, people, spirituality, photography, vintage illustrations and quantum mechanics. One can see the influences of Basquiat and Bacon in his paintings. Self-described as a slack-jawed southerner, Tonya was raised on the salt of the Atlantic foam by a shark’s tooth hunter and a mythmaker. Her work is about combining shapes, patterns, moments and pauses that are derived from passive spaces, fleeting thoughts and changing winds. In a multi-disciplinary process combining painting, drawing, collage and construction, her intent is to explore the aesthetic oppositions of rigidity +/- gesture and heed +/- neglect. She has an MFA in painting and currently is an Assistant Professor at the Art Institute of Pittsburgh. She is also an adjunct Instructor in the Art and Design Department at Monmouth University. 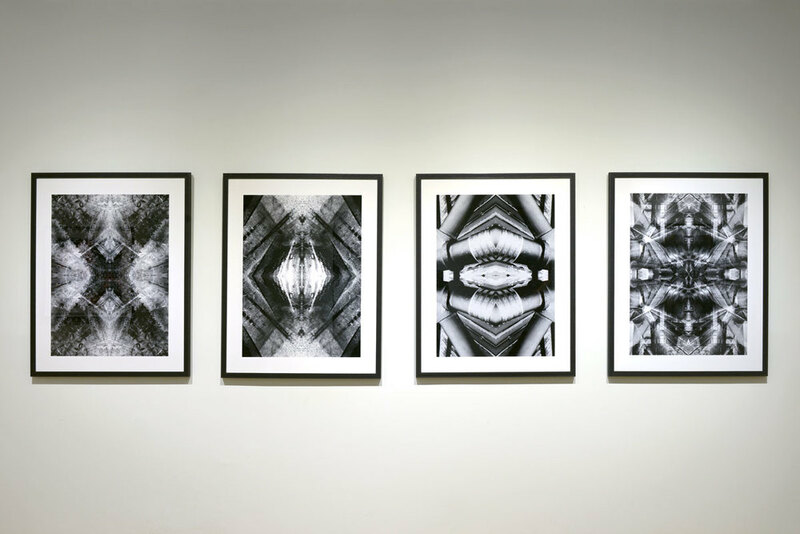 Tom’s experimental photography uses organic and geometric design concepts to deconstruct and reconfigure his images. He exploits the gut response to natural and industrial subject matter, texture and color, but intends that the resulting images challenge the way we perceive the use of photography. 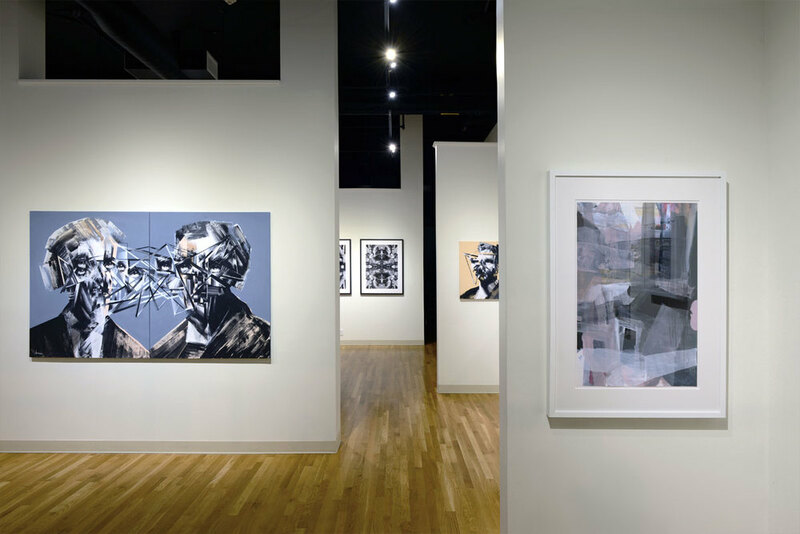 In some of his work, he uses an experimental print process to construct a final image. 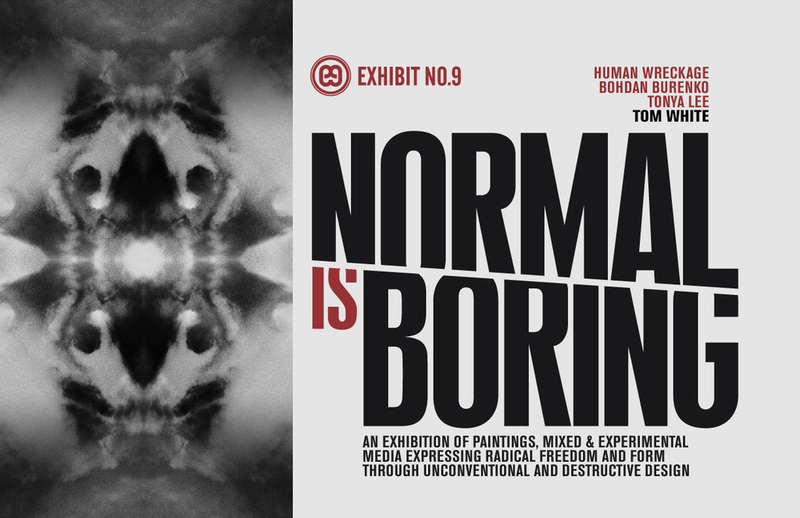 Tom is a widely commissioned and published designer and image maker for more than two decades. He is also Exhibit No.9’s director as well as the printmaker and director of 9 Surf Editions, the gallery’s print studio.